This air-cooled, belt-fed 30-06 caliber machine gun is gas operated and fires from a closed bolt at a rate of 450 rounds per minute. This particular Marlin 1897 “Potato Digger” is fully functional. 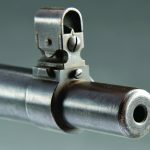 Just like machine guns in current use like the M2HB (MA Deuce) and in spite of the heavy barrel, the closed bolt mechanism would ‘cook off’ shots if a round was left in the chamber in a hot barrel, which meant that the gun had to be unloaded immediately. Testing demonstrated that the gun could fire over 1,000 rounds before it overheated and bullets tumbled out uncontrollably. 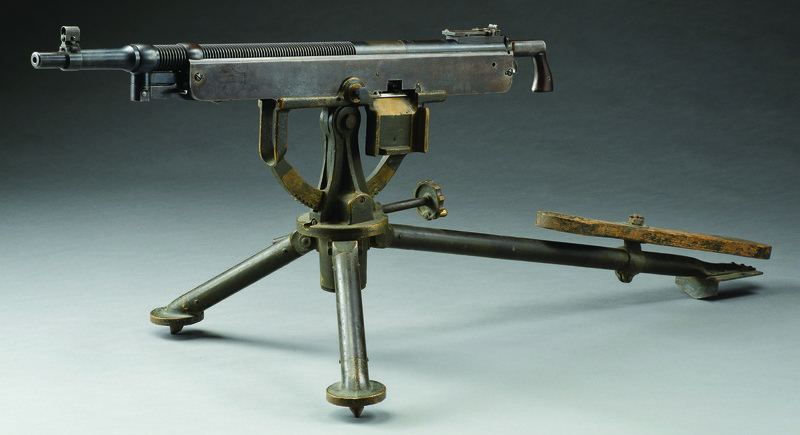 In 1914 a new model emerged, which included a lower tripod for firing from a prone position. 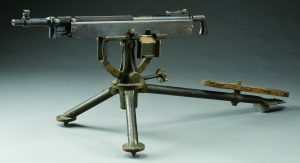 It is this model that earned the nickname “Potato Digger” because the operating lever would dig into the ground if fired from too low a position. 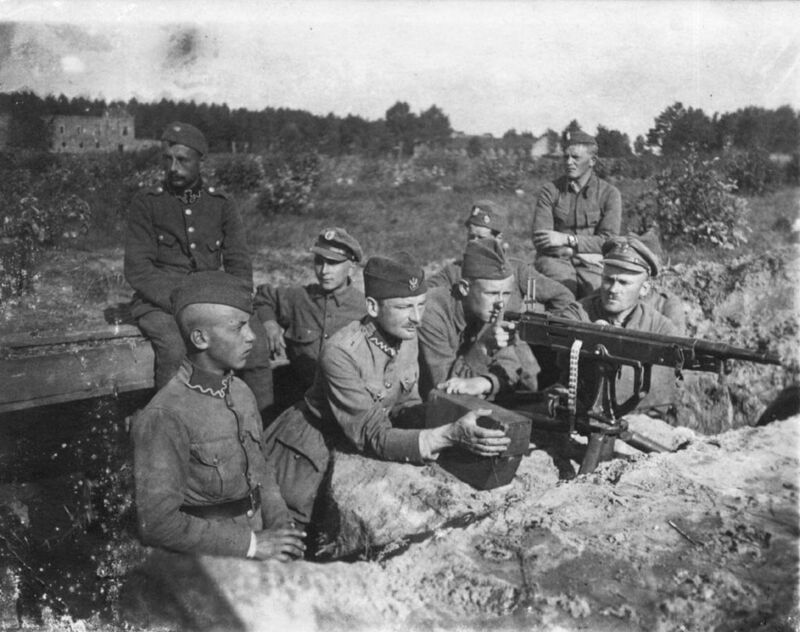 The Marlin 1895 was the first machine gun adopted by the United States military, and it was used on tripods, horse drawn carriages, boats, aircraft, and armored cars. 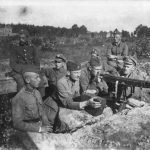 It was used by the U.S. military in the Spanish-American War (including the 1898 invasion of Guantanamo Bay), the Philippine-American War, and the 1914 occupation of Veracruz (Mexico). 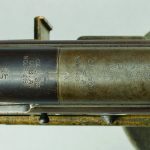 It was also used by Mexicans during the Mexican Revolution, in Uruguay against rebels during the Uruguayan Civil War, by the Canadians in World War I, by Russians in the Russian Civil War, and several others countries.